For the first time ever, ULTRA4 Racing and several top drivers are heading to China. King of The Hammers co-founder, Dave Cole and ULTRA4 Drivers, Jason Blanton, Brian Caprara, Nick Nelson, Mike and Randy Slawson and Tom Wayes are all flying to China this week. They will take part in the 2016 FB Life Alxa Hero Festival. 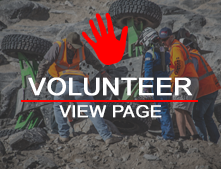 The festival which started around the same time as King of the Hammers, takes place October 1st - 5th in the Tengger desert and will include an ULTRA4 demonstration by these drivers with ULTRA4 cars. We have good news! The Journey to the Hammers TV show on NBC Sports is being moved up an hour. This move puts ULTRA4 in Prime Time for all time zones between Eastern and Pacific! Starting September 1st, the KOH Episodes will air in the 7PM Pacific and 10PM Eastern time block! This means ULTRA4 will play in Prime time on both coasts and re-airs will be available the same evening. If you already set your DVR to record it should already have adjusted to the new time, but you may want to check just in case. The following start orders are by class only. Please refer to the full schedule of events to see what time your class will begin racing, as well as to understand how start orders were determined. Any drivers signing up after the posting of this list will be added to the back of their respective class. Update as of 8/31: We have good news! The Journey to the Hammers TV show on NBC Sports is being moved up an hour. This move puts ULTRA4 in Prime Time for all time zones between Eastern and Pacific! Starting September 1st, the KOH Episodes will air in the 7PM Pacific and 10PM Eastern time block! This means ULTRA4 will play in Prime time on both coasts and re-airs will be available the same evening. If you already set your DVR to record it should already have adjusted to the new time, but you may want to check just in case.